Fitness Superstore, specializes in selling remanufactured fitness equipment at 40-70% off retail. All equipment includes a warranty, as well as extended warranty options, and will arrive in 'like new' working and 'close to new' cosmetic condition. Our goal is to provide the consumer with virtually brand new equipment, with the option of a 1, 2, 3, 4, or 5 year parts & on-site labor warranty, at a huge savings. Our reviews tell us that our consumers feel the same way. 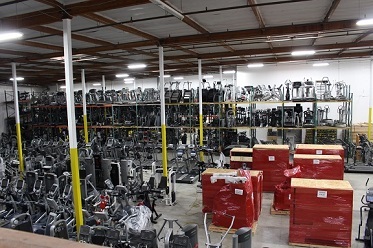 We sell ellipticals, treadmills, exercise bikes, stair steppers, strength training equipment, and more. We are located in the San Francisco Bay Area and ship throughout the United States, Canada, as well as internationally. Click here to view more info on International Shipping. Click here to view our store hours and contact information. 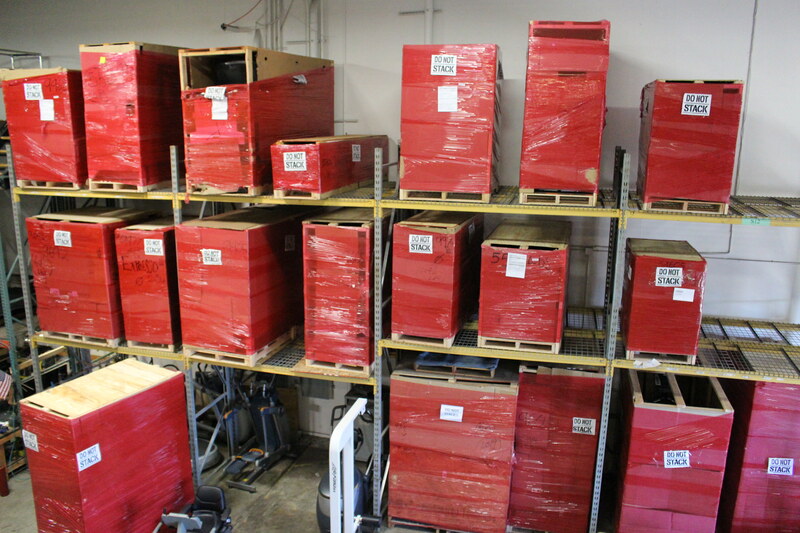 Check out our Warehouse Photos, which will show actual photos of our 25,000 Square Foot Warehouse in Benicia, CA . Transporting heavy duty fitness machines is not easy! However, we have found the best shipping companies to meet your individual needs; whether it be "room of choice" delivery or the more economical "curbside" delivery, Fitness Superstore offers it all! Through copious research and persistence, we have obtained contracts with many shipping companies across the U.S. The outcome? We can ship any piece of equipment, anywhere, for much less than our competitors. Check out our shipping page for detailed information about our shipping methods. Fitness Superstore employs talented and detail-oriented fitness equipment technicians. Many members of our repair team have been working with fitness equipment for years. For detailed information about our refurbishing process, click here. To show the confidence we have in our technicians and machines, we include a free 6 month parts & on-site labor warranty on every purchase. We also offer the option of purchasing an extended 1, 2, 3, 4, or 5 year parts & on-site labor warranty. There isn't a fitness equipment store in the country that does that - but that is how confident we are in our remanufactured exercise machines. Our online store is designed to provide you with a safe and secure environment to browse our Fitness Catalog. Brands we offer: Bowflex, Cybex, Expresso Fitness, Life Fitness, Matrix, Monark, Nustep, Octane Fitness, Power Plate, Precor, Scifit, Stairmaster, Star Trac, Technogym, Total Gym, Versaclimber, Woodway USA, and much more! Product types we offer: Ellipticals, Exercise Bikes, Pilates Reformers, Rowing Machines, Stair Climbers/Steppers, Strength Training Equipment, Treadclimbers, Treadmills, and Vibration Platforms. Don't see what you're looking for? Click here to request fitness equipment.